Heraldry Coat of Arms / Family Crest Design - Email us either a picture or Google link, we will create your design using one of our own custom templates (currently now over 100 and increasing). If you would like to see our templates prior to placing your order, these are available on request. 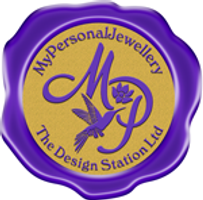 Email Jackie@thedesignstation.co.uk, all templates are full customised and designs will be adapted to suite your choice of ring. All signet rings are made from die stamped silver or gold ( not cast ) handmde in the United Kingdom. Presented in your choice of signet ring box, decorated with our own MPJ wax seal and organza bag with a complimentary gift card.